"This shot carries a memory within it." 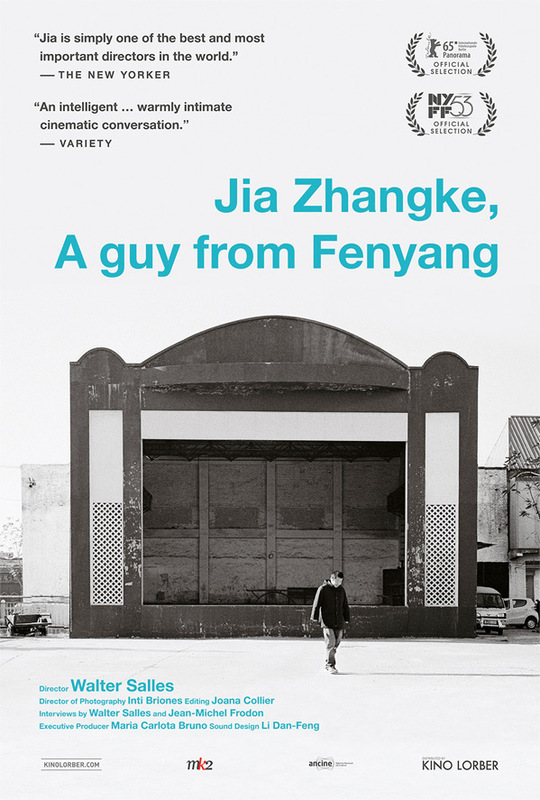 Kino Lorber has debuted a trailer for the documentary called Jia Zhangke, A Guy From Fenyang, directed by Walter Salles, taking a look at the life of famed Chinese filmmaker Jia Zhangke. It looks like a fantastic documentary with some incredible footage of Jia Zhangke in China, and all over the world. Salles last directed the Jack Kerouac adaptation On the Road, but returns to docs to make this stunning feature on another very talented filmmaker/storyteller - Jia Zhangke, of films like A Touch of Sin, Mountains May Depart, Still Life, 24 City, The World and many others. This is a rather beautiful trailer with some poetic imagery, it really makes me want to see this documentary. Watch below. Filmmaker Walter Salles accompanies the prolific Chinese director Jia Zhangke on a walk down memory lane, as he revisits his hometown and other locations used in creating his ever-growing body of work. At each location, they visit Jia's family, friends, and former colleagues, and their conversations range from his mother's tales of him as a young boy to amusing remembrances of school days and film shoots to memories of his father and to the shared understanding that if not for pirated DVDs, much of Jia's work would go unseen in China. All roads traveled are part of one journey; the destination of which is Jia's relationship to his past and to his country. The confluence of storytelling, intellect, and politics informing all of Jia's work is brought to light in this lovely, intimate portrait of the artist on his way to the future. Kino Lorber will open the documentary in select theaters starting May 27th this summer. Curious? It's refreshing to see finally a film blog talking about...movies in general and not focusing on superheroes. ;D the problem with these sites that focus on pop culture movies and blockbusters is that they draw fanboys who can't hold themselves to insult your mom if you dare to say that superhero movies nowadays have zero story and are just a collection of guys punching each other. I wonder if they filmed this legit. // It looks very beautiful.